ST. PAUL, Minn. – The No. 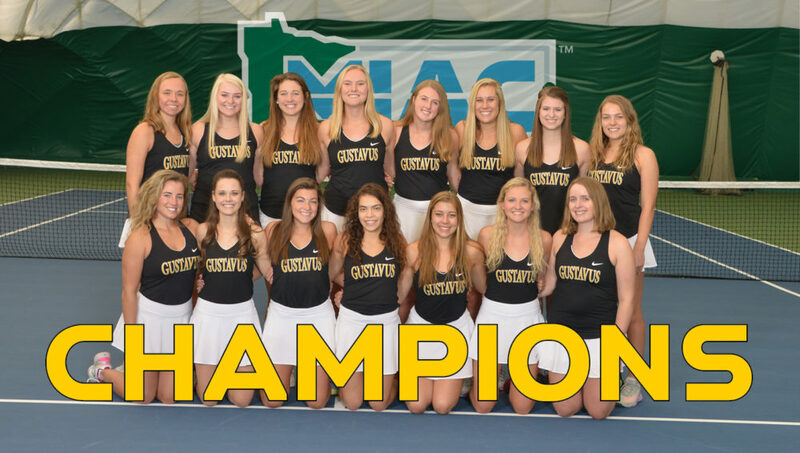 28-ranked Gustavus women’s tennis team swept Hamline University and Macalester College on Saturday to finish Minnesota Intercollegiate Athletic Conference play undefeated at 10-0 while earning the 29th regular season title in program history. The Gusties, who closed out the regular season with a 15-7 overall record and 10-0 mark in the conference, earn the No. 1 seed for the MIAC Playoffs. They will host the winner of the No. 4/5 play-in game between Bethel and Macalester at 3:30 p.m. Thursday. The conference championship is 1 p.m. Saturday and Gustavus would host if it advances.